Motor yacht VEGA, was Nordhavn’s Hull number 1 in the 86‘Series, launched in 2007. 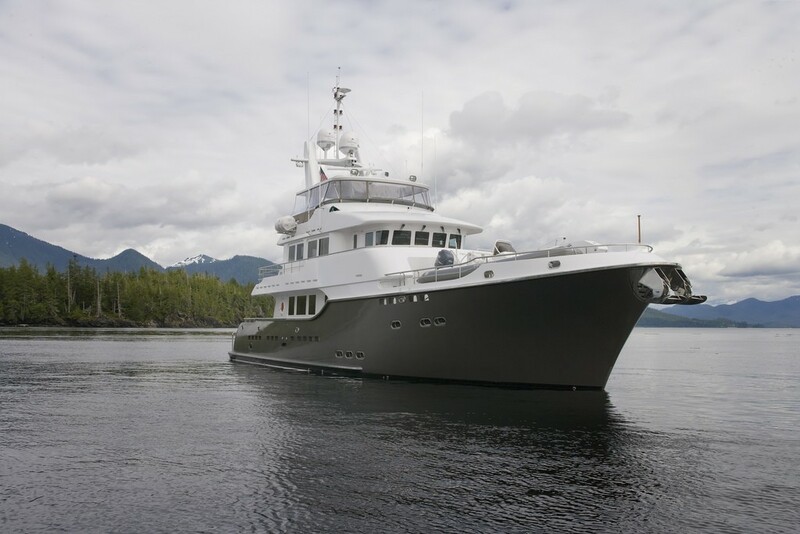 The 26,21m (86’) motor yacht has a unique and distinguished expedition style gun metal grey coloured displacement hull with white superstructure. 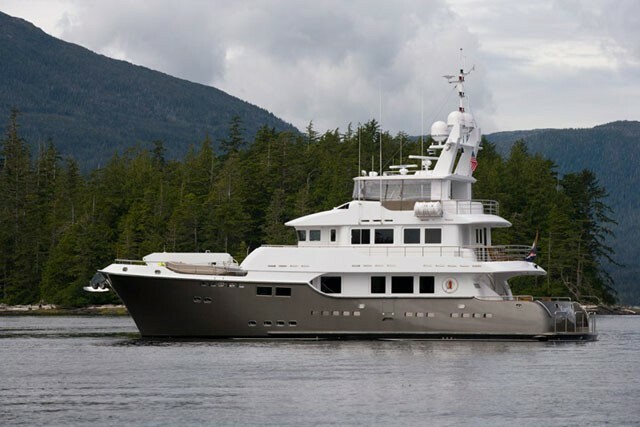 She offers luxury accommodations for up to eight guests in four staterooms. 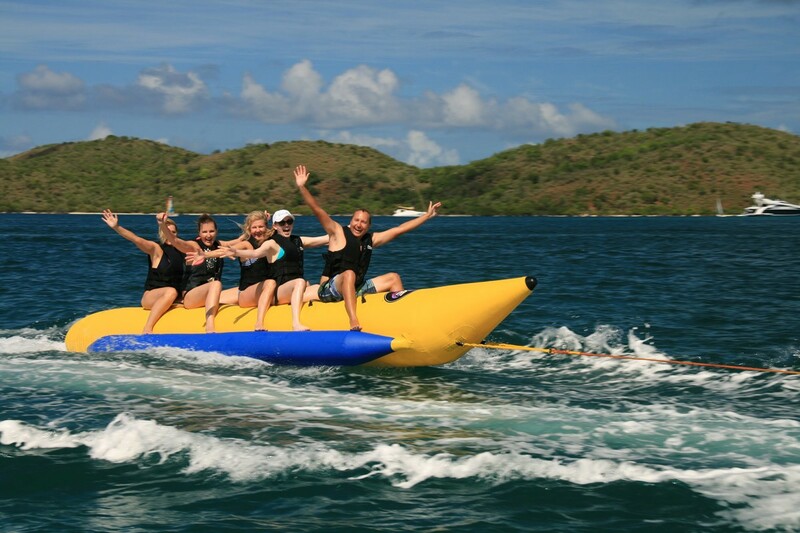 The yacht has a professional crew of four ready to offer exceptional service on a luxury charter experience that exceeds expectations. VEGA received a comprehensive interior refit by Destry Darr Designs in 2015. 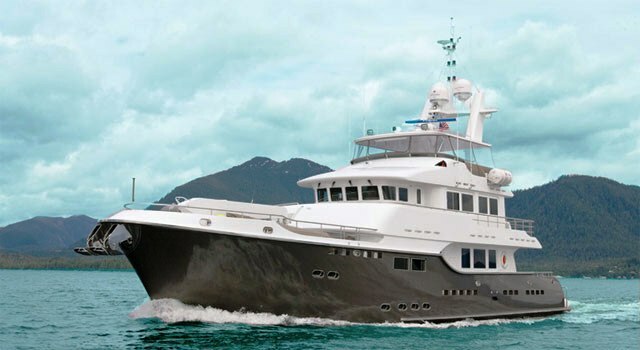 M/Y VEGA is a spacious and elegant yacht built for luxurious and economic, long distance cruising. 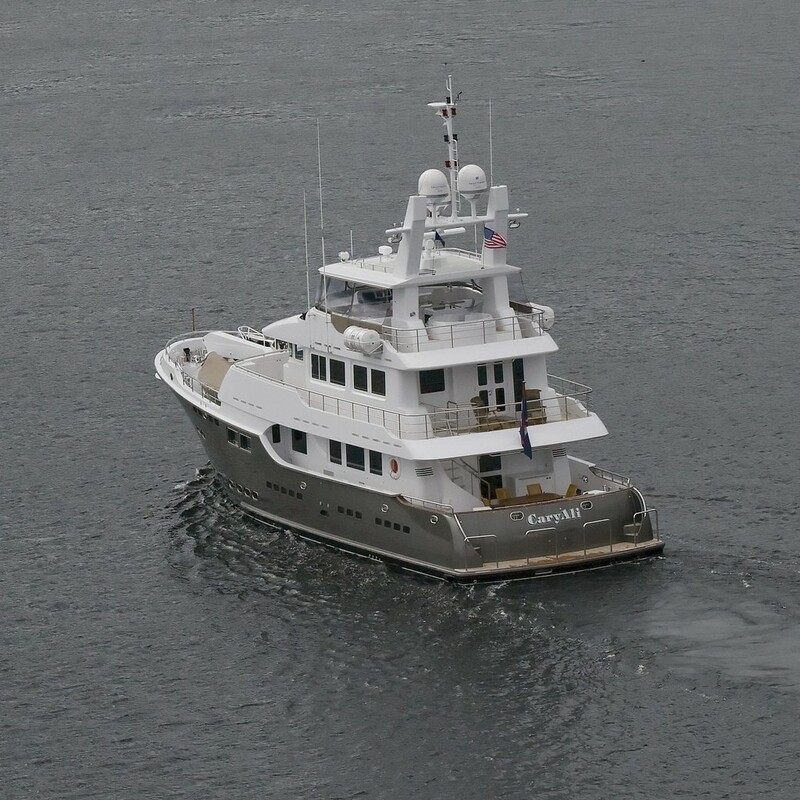 She has a sturdy displacement hull as well as a wide 24ft beam making her both steady in the water and extremely spacious for an 86ft yacht. 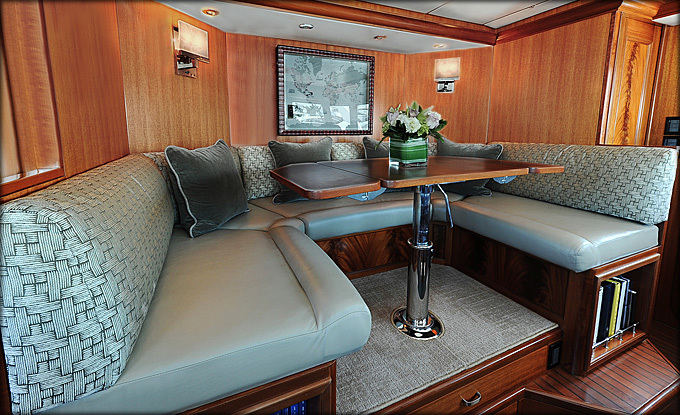 Yacht VEGA has a stylish interior with beautiful woodwork and neutral tones. 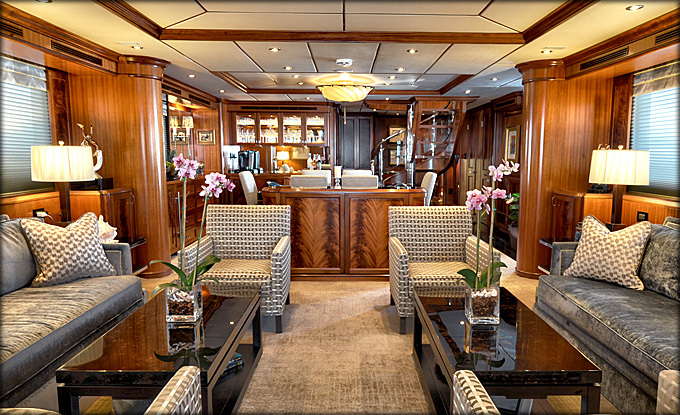 Her main saloon is adorned in luxurious fabrics and textures. 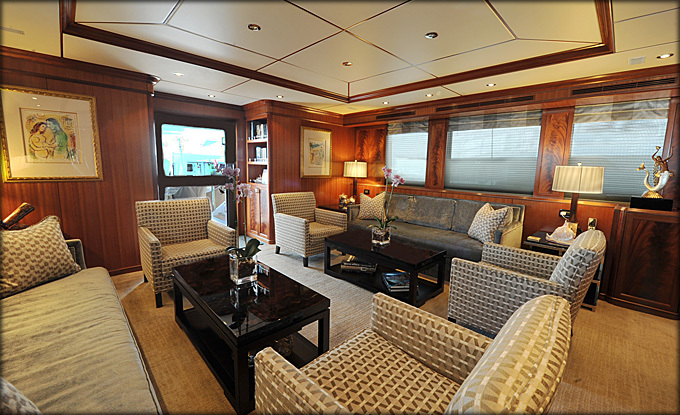 This area is the perfect place to relax and features both comfortable couches and free standing print chairs. 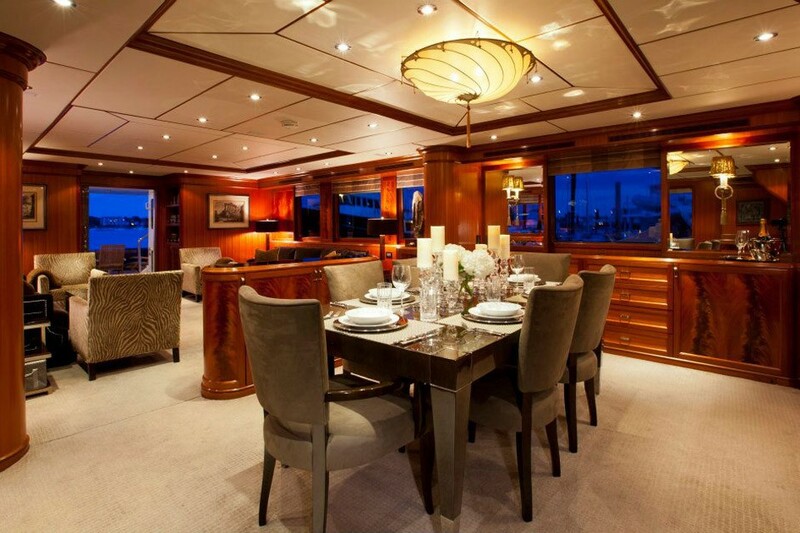 The adjacent dining room can host up to 8 guests or a formal meal. 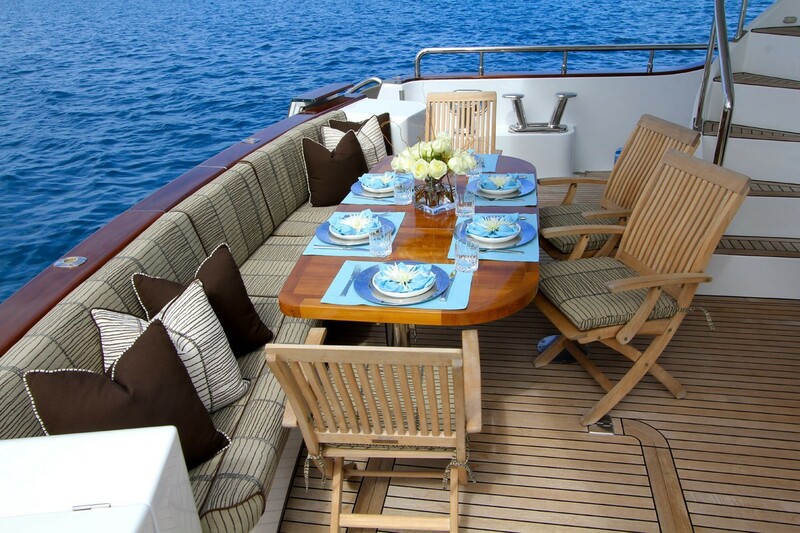 The Galley is located just forward and of the dining area, to port and the Master suite which is full beam of the yacht is found all the way forward. 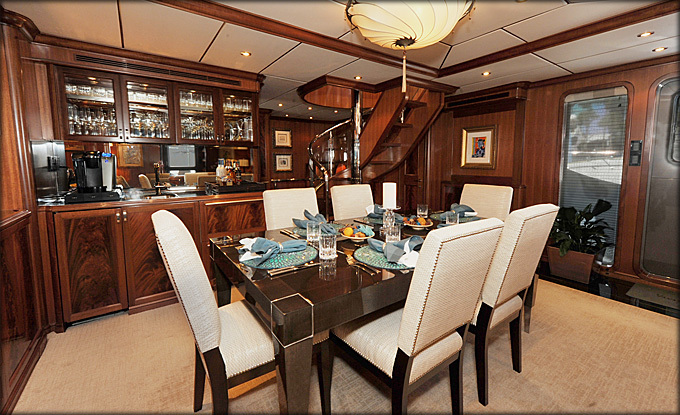 One starboard side of the dining area forward is a magnificent staircase spiraling down to the guest accommodation and up to the upper level. 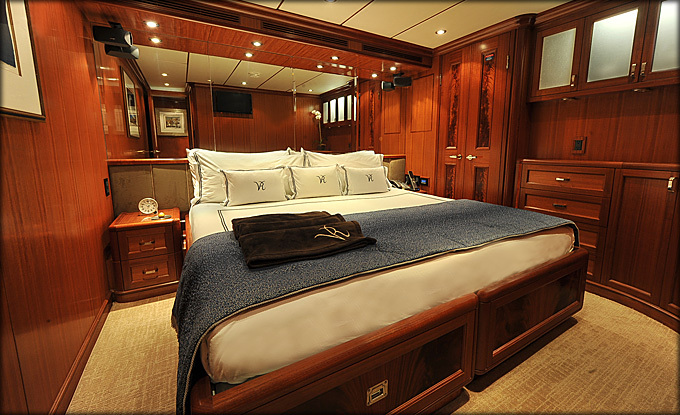 Below deck to the starboard and port are 2 King Guest staterooms that has a bed that is also convertible to twins. 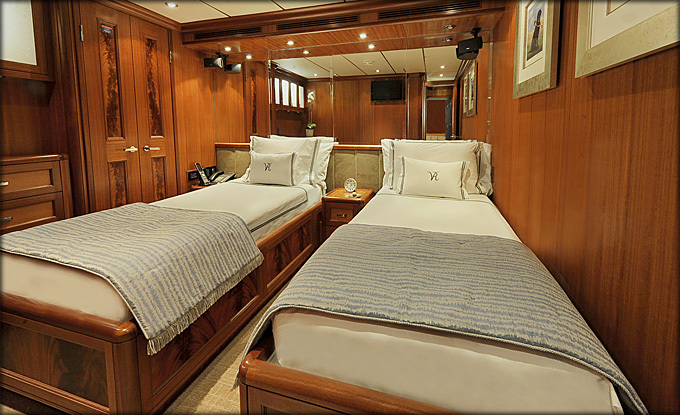 There is also a Twin Stateroom available for children or staff. 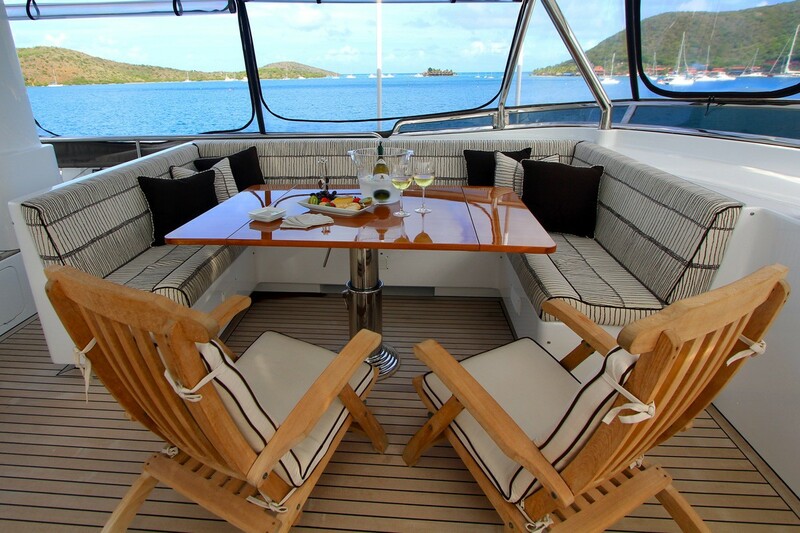 VEGA's pilot house is located on the upper level and features a comfortable u shaped settee for guests who would like to see all the action take place. 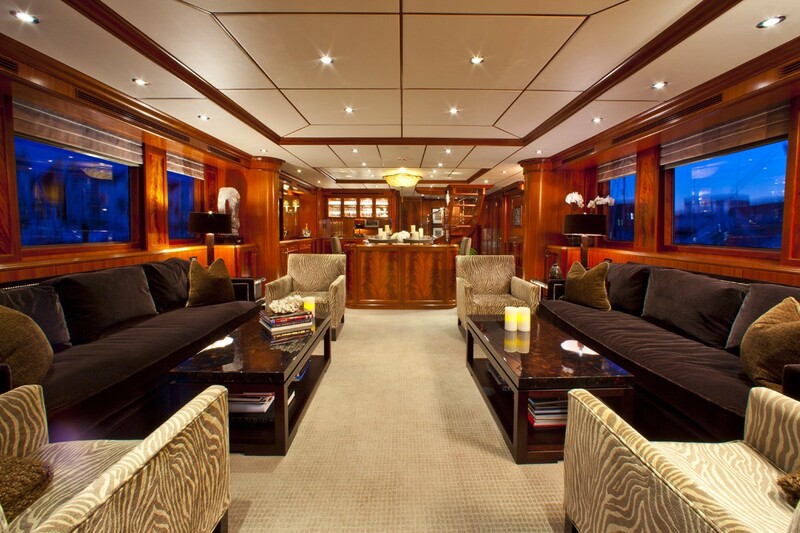 There is also an extra lounge area on this level and an outside area with seating to the aft. 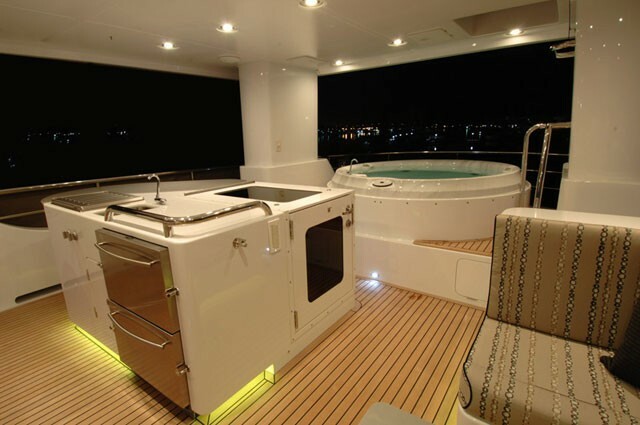 The upper deck of the yacht features a BBQ grill, more seating and a fabulous inviting Spa Pool. 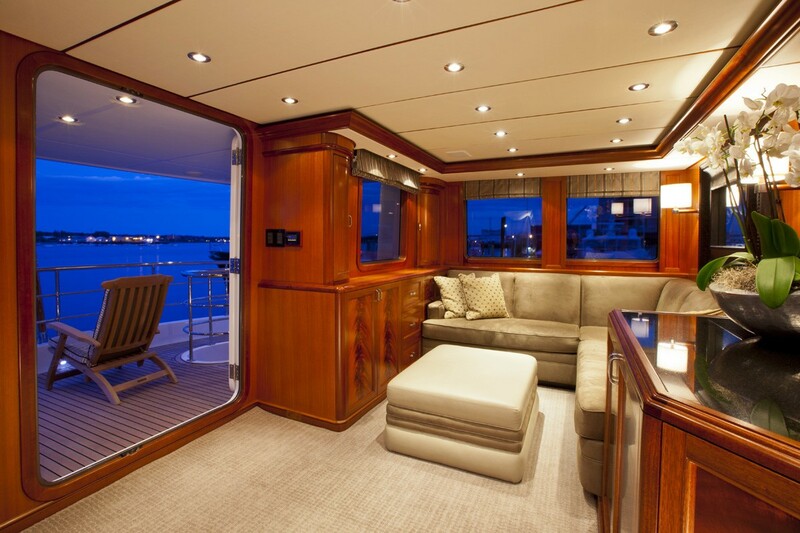 This top deck can be enclosed with side panels to protect from the elements. 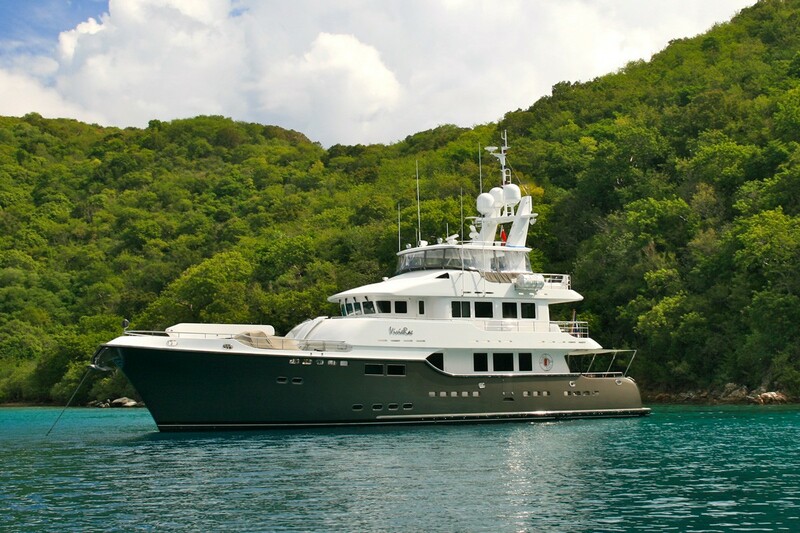 South Coast Marine M/Y VEGA can accommodate up to 8 guests in 3 Double, 1 Twin, cabins, 2 of which are convertible. 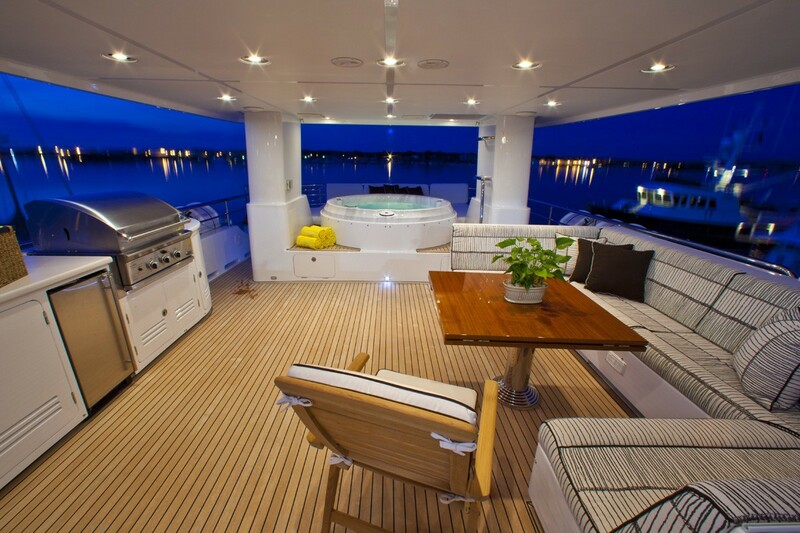 Her Master suite is on the main Deck and spans the full beam of the yacht. 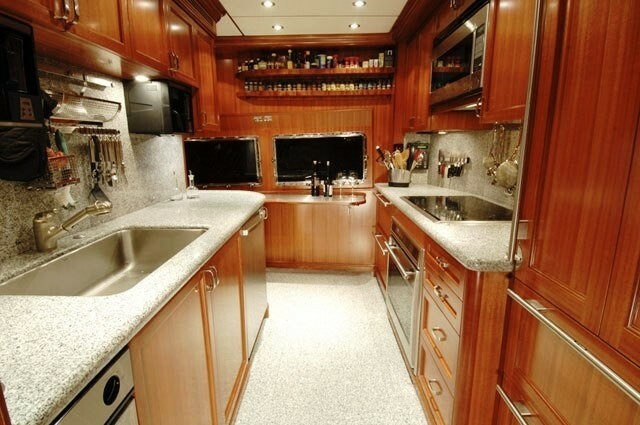 This cabin has separate his and her bathrooms. 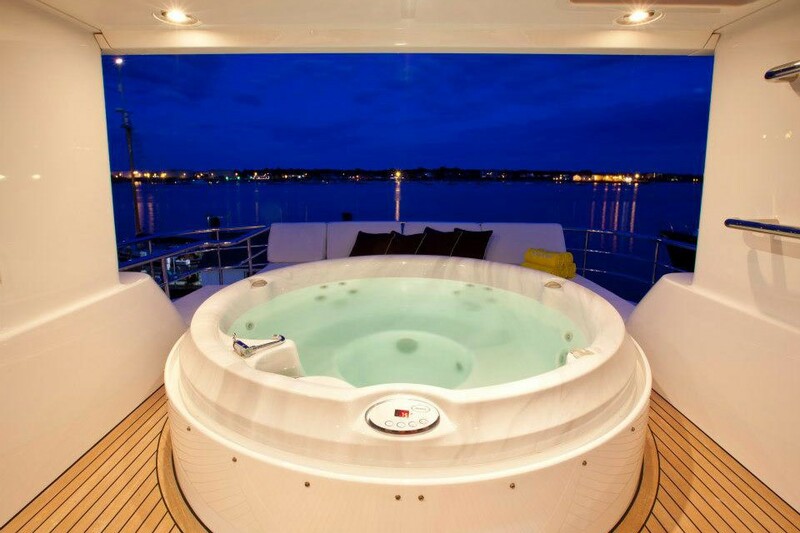 His with a shower, hers with a steam shower, each with their own head and basin. 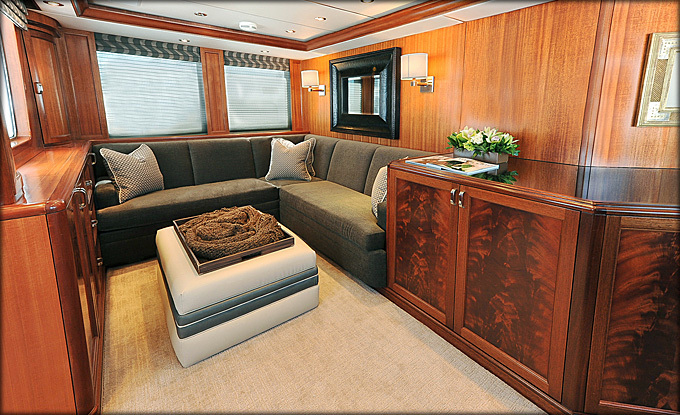 The room also features an Entertainment centre with 42“plasma TV, DVD, individual satellite receiver and Surround Soun. 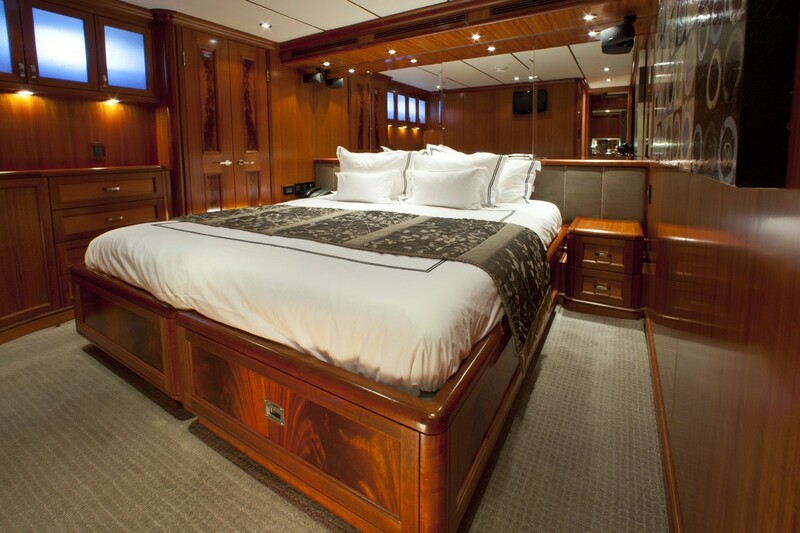 Below deck to the starboard there is a Guest Stateroom with King Bed that is convertible to twin beds. 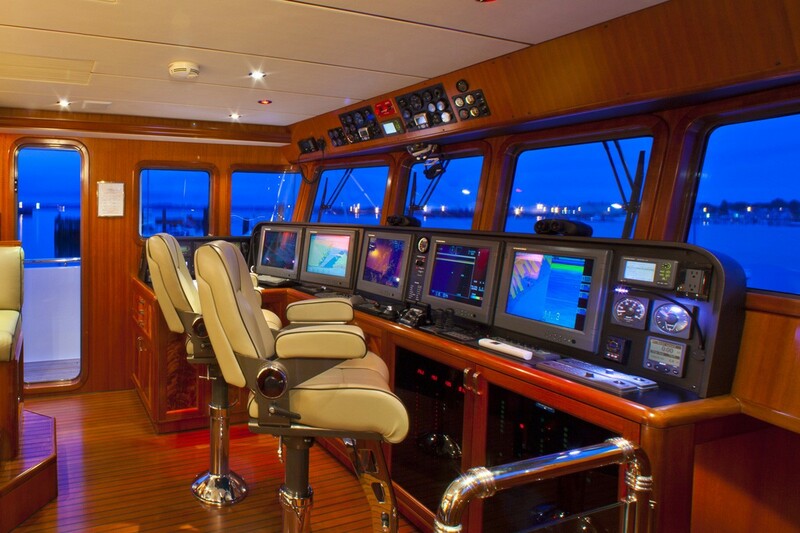 This cabin also features an ensuite bathroom with a shower and an Entertainment centre with 19“plasma TV/DVD and Surround Sound. 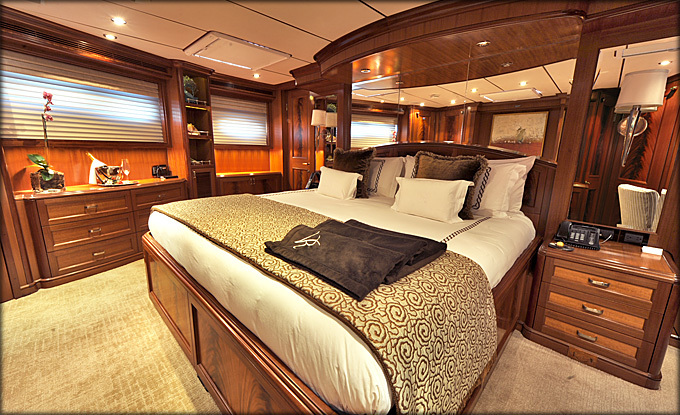 Below deck to port is the other King Guest stateroom that has a bed that is also convertible to twins. 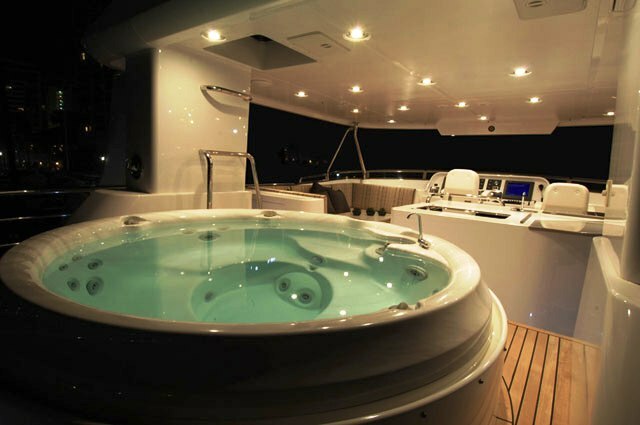 The ensuite in this cabin has a bathtub and shower overhead plus an Entertainment center with 19“plasma TV/DVD and Surround Sound. 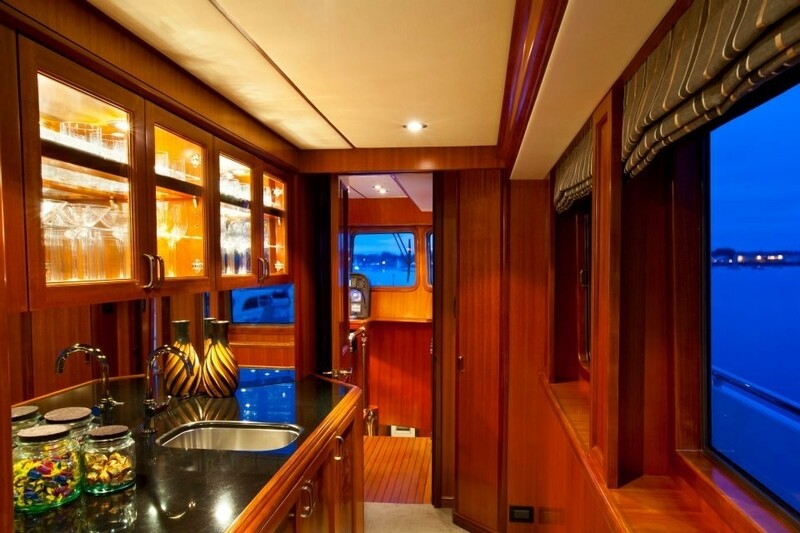 The final Guest cabin is a Twin Stateroom available for children or staff with ensuite bathroom with shower. 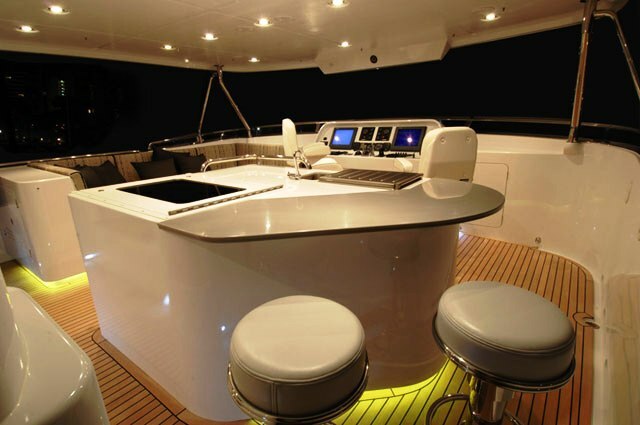 Entertainment center with 19“plasma TV/DVD and Surround Sound. 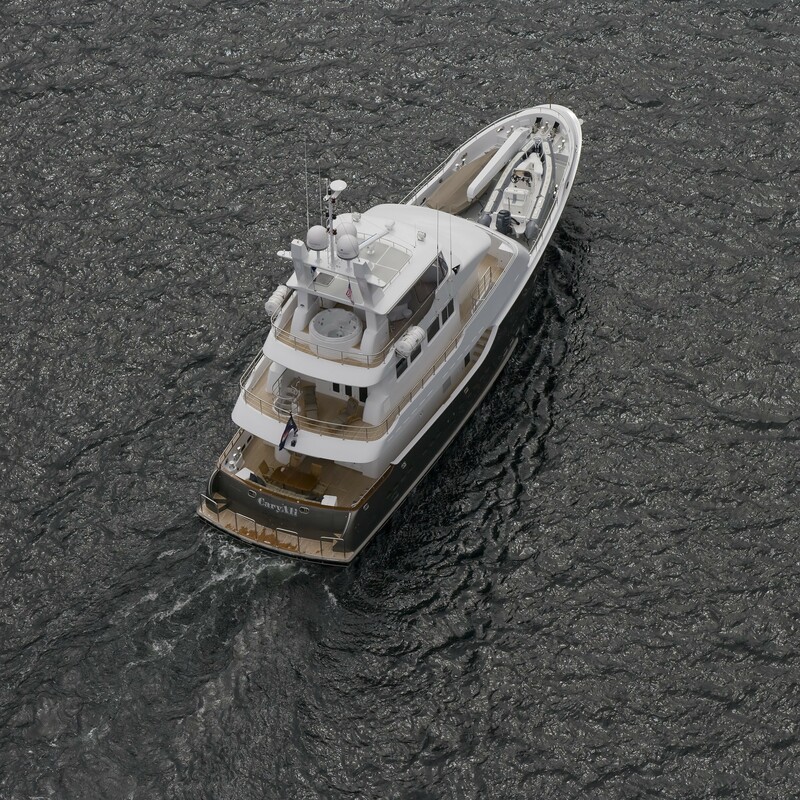 The Nordhavn yacht VEGA has a huge range of extras on board including the following Tenders and Toys: A 18ft (5.4m) Zodiac Dinghy with 150HP, a jetski, Fishing equipment, Adult water-skis, a Wakeboard, a Towing ring, Various Board Games, Wii, a Bocci Ball. 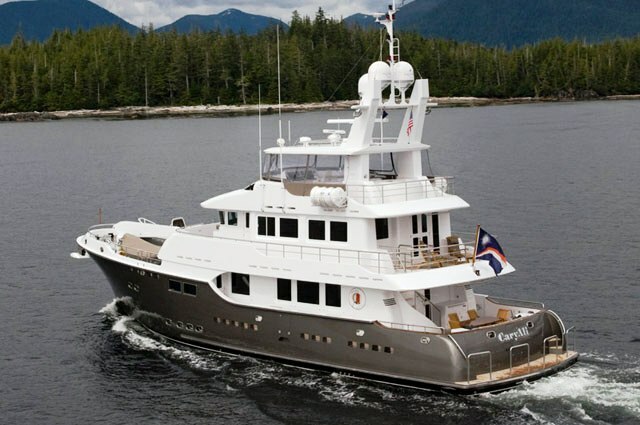 Also on board is a Swim platform, Deck shower, a Barbeque and a Spa Pool in the master cabin. 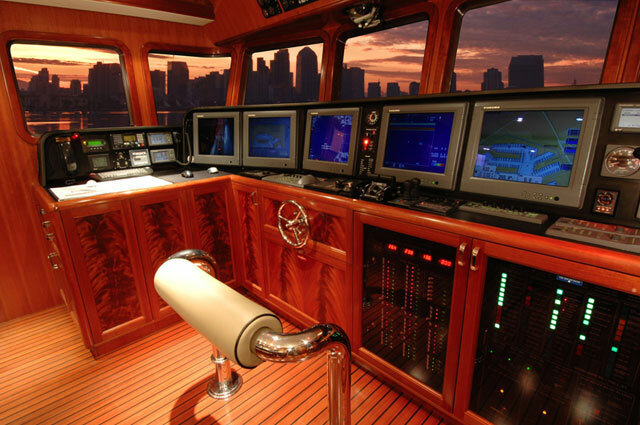 Communications onboard include Internet and e-mail, SATCOM, and a Fax machine. 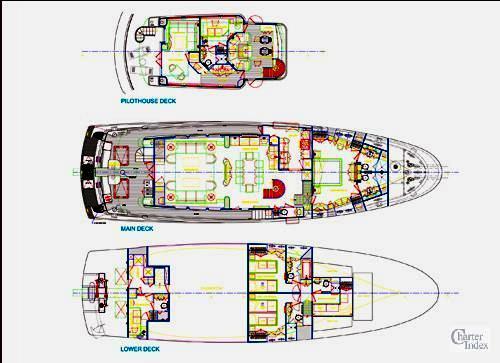 Audio Visual Equipment and Deck Facilities consist of a CD library, a DVD library, a Stereo system, a CD player, a DVD player, Televisions and a Cell phone.